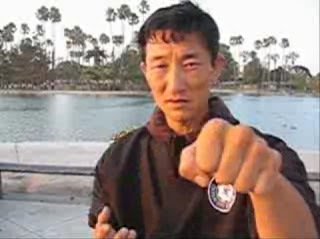 Nowadays it is common to hear martial artists say: "Kata teaches principles – not techniques." And many of us will sagely nod in agreement. But what does this expression really mean? We might have an intuitive understanding that this is a true statement, but how does it manifest? 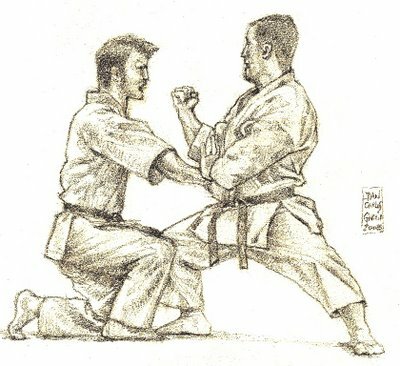 Put another way, how does kata teach "principles" and not "techniques"? What is the process by which this occurs and what are some examples? I have shelved writing an article about this for some time. I knew that the answer lay in an analysis of kinaesthesia and proprioception and their role in motor learning. But that is a big topic, requiring some considered thought and planning. And I am inherently lazy. However a recent exchange with a correspondent made me realise just how little incisive, accessible information there is about this topic. Sadly, it seems "proprioception" and "kinaesthesia" are often just "big words" thrown into a mix of complex jargon to add "scholarly gravitas" to an otherwise banal essay. Often the best we can hope for is a "cut and paste" from some news or science report that touches briefly on the topic. Basically, teaching "principles" involves teaching movements that provide a medium for the comprehensive development of "kinaesthesia" (ie. 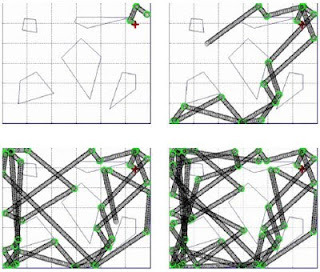 the accurate perception of your body's movement in time and space). Kinaesthesia is developed through a related process called "proprioception". In a martial context, this involves the use of a number of senses in concert (principally touch, but also sight and hearing) to create a kind of mental "map" of your surroundings. "Motor learning" (ie. the process of making complicated movements smooth and accurate) relies extensively on kinaesthesis and proprioception - whether you are walking, surfing or playing the piano; your muscles learn to fire appropriately and subconsciously in response to the feedback you get as to your body position and movement. So if you observe a baby learning to walk, or someone who has suffered brain damage re-learning to walk, you will see slow, halting, deliberate and conscious effort going into every single movement. This is "motor learning" in action; a sufficient kinaesthesis has not yet developed and neither do the muscles know how to "work". Over time the movements become more relaxed and fluid – with much less conscious thought apparent; your motor neurons are firing appropriately and in response to the "mental map" that is being created. Over a longer time you'll notice that the conscious thought has absented itself altogether and the movements are done automatically. Imagine for a moment if this were not the case: imagine if you had to calculate every single movement in advance consciously – say, as you climbed a flight of stairs. 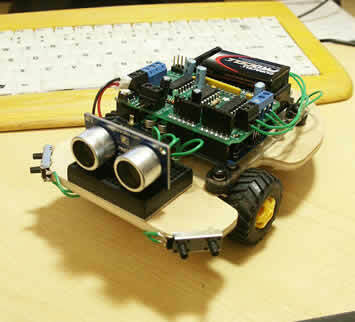 This was precisely the basis for early robot rover designs. They were made to make elaborate calculations based on data for the simplest tasks. So if the robot encountered an obstacle, data from cameras and other sensory instruments was relayed to the CPU and calculations were then made as to all the available options for circumnavigating the obstacle. Every option was then compared and a probability calculated for which option offered the best prospect for success. This seemed like a sound methodology. 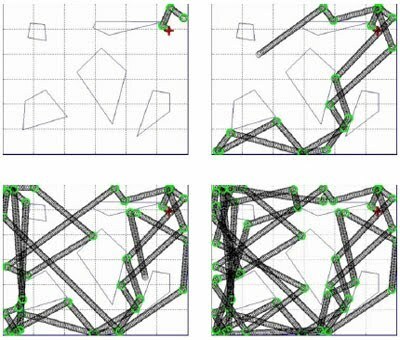 However it had one big problem: it was soon discovered that even with our fastest computers, simple tasks like obstacle avoidance would take minutes, hours or even days to compute. Scientists knew something was amiss when they considered that, say, a fly, powered by a much, much smaller "computer" could make such a determination in a split second. There simply had to be a better way for robots to make such "routine" decisions. The "logical brain" model of making exhaustive calculations for each permutation just didn't cut it. Going back to the stair example, you can now appreciate that we don't calculate every single step consciously. 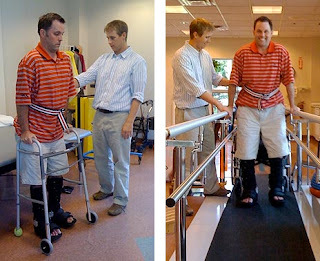 We might, if we're learning or relearning to walk. But mostly, we climb stairs subconsciously. In fact, we do so many things like this on "autopilot" that large tracts of our day are "lost" to us. Can you remember walking out the door this morning? Maybe. But do you remember every single detail: turning the handle, opening the door, stepping out, turning around, closing the door, pulling out your keys, etc.? Almost certainly not. I have previously noted that our propensity to go through daily life mainly "on autopilot" is precisely what is exploited by mentalists; they anticipate our implicit trust in this process and use it to manipulate us. On the other hand, it is a breakdown in trust of this "autopilot function" that powers many obsessive compulsive disorders, like relocking the door 3 times or washing your hands over and over again; in those cases the sufferer only feels he or she can trust the "automatic pilot" after a set (usually arbitrary) number of "confirmations" (which number varies from person to person). So it should come as no surprise to you that you might not recall a single detail of your journey home from school or work. Perhaps you will remember what you were thinking of during your journey: the argument you just had with a friend, the "to do" list waiting at home, a pending assignment, exam or work presentation due the next day, etc. But there is a good chance you won't remember anything about the journey itself. There were many times that I got home from school (a half hour walk) where I could honestly not recall a single detail from my journey: whether I'd taken route A or B (both equal in distance), whether I'd crossed at a particular corner or a bit further up the road, etc. In fact, people "lose" so much "time" in this way from their daily lives that some are convinced that they have been subject to an alien abduction! Now this sort of "autopilot" is, as I foreshadowed with the staircase and robot rover examples, necessary for most daily functions. In fact, it is mandatory in these cases. In others, you have to be a bit more careful. "Autopilot mode" might be okay for something benign like walking home from school (although even there, you have to be careful not to daydream when crossing roads, for example) but you really shouldn't do it when you're driving a car or motorcycle – or at least, you should do such things in "full autopilot mode". But you shouldn't try to do these things in "full manual mode" either. In fact, you couldn't even if you tried. Instead, complex, dangerous or delicate tasks are usually accomplished successfully on partial autopilot: you let your autopilot negotiate routine movements while your conscious mind keeps a careful watch over things just to make sure any potential issues for the autopilot are spotted well in advance, and appropriate adjustments can be made. Now it is also true that some aspects of activities, as dangerous, delicate or complex as they might be, can realistically be achieved using only "autopilot". 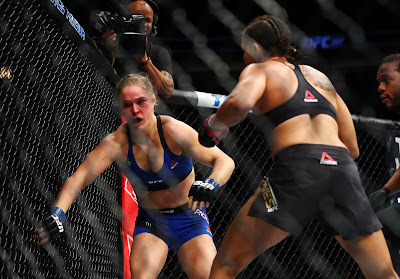 Well consider an MMA fighter in the midst of a cage exchange: punches, kicks, elbows etc. are thrown at speeds that are totally and utterly inconsistent with any kind of logical thought. Yes, you should have your logical mind switched "on" just before you enter in this exchange (ie. you should be using at least some part of your logical thought processes in the "pre-engagement" phase). But the truth of the matter is, once you are in the melee range, all hell breaks loose and you have no choice but to switch to "full autopilot". Your conscious, "manual" processes can't hope to keep up. You don't have time for logical computation of every possible variable, like some computer running through mathematical permutations. In other words, for the heat of an exchange in the melee – ie. when the real action is taking place – you don't have any choice but to rely fully on your "autopilot". You won't have the luxury of using any part of your conscious, logical thought processes. If you try, you'll simply get clobbered/submitted/defeated. You just can't "think" your way through a melee exchange. It's impossible. And this is why I call it the "melee range" and not "close range" or "middle range". I call it "melee" because that term conjures a mad, panicked, automatic/subconscious frenzy of movement. I can't think of a more fitting term. So does this mean we should abandon all hope of "intelligent" approaches to combat? After all, if we can't think our way through a melee exchange, what is the point of learning any "technique"? Indeed. Here is where we're finally getting close to answering the opening questions. We don't actually want "techniques" (if by "technique" we mean "set responses"). We want something "deeper" – something we can pass on to our "automatic pilot". You can't pass "set responses" onto that automatic pilot (at least, I've never seen it done: "He punches, you block and counter, yadda, yadda."). It is at this point that many will throw their hands up in despair and go back to the punching bag. After all, is there any point learning martial arts at all when what we do in the heat of combat is just "automatic"? Don't we just default, as I was once told, to "fighting like our grandfathers fought"? Well yes and no. Yes, if you're untrained. But no, if you are trained. You see, to answer this conundrum we need only examine some of the other issues I raised as suitable for "full autopilot mode". Danger was just one. What about delicate and complex tasks? For example, you can't play an advanced musical piece at a concert if you're trying to "think things through". You can't dance complex choreography or even sing a opera piece by such a method; the "thinking" will show and interfere with your emotional expression. 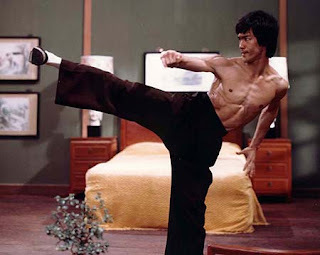 Rather, you need to "own" the material you are performing, and this means shifting the actual physical movement more or less completely to the autopilot so that you can concentrate on things like emotional content (to borrow one of Bruce Lee's sayings). But the arts offer only one type of example. You can't surf a wave, compete in a tennis match or play a fast video game in "manual" or "partly manual" mode. All of these things must be done on "autopilot" – and "autopilot" alone. It is clear that some individuals are much more accomplished than others in these tasks. Some are lauded for their exceptional skill. What is it that they have done to make their "automatic" movement so much better than others? How can Roger Federer play an "intelligent" shot – one that seems to have been pre-planned like some chess game – all at breakneck speed and with constantly shifting variables that make any kind of "pre-planning" impossible? Moreover, why does someone like him outperform others time and time again? Some people would say that the answer lies in his superior "reflexes". And I've certainly argued that "situational" reflex development is important: it is important to develop reflexes that are pertinent, perhaps even optimal, in a given situation. But all this is still skirting the issue: how can "dumb" reflexes (reactions that are not consciously pre-planned) manifest in such an "intelligent" way? How is it that commentators will praise Federer's gameplay as "intelligent", or laud the "genius" of a performance artist? How can such split-second actions occur so decisively, so optimally, that we continue to class them as "intelligent decisions" even when we know that no conscious, never mind "intelligent" thought process, could possibly have taken place? Well I think that we do make a kind of "decision" at these moments. Understanding the sort of "decision" requires a deeper understanding of the processes of kinaesthesia and proprioception. We are accustomed to thinking of the frontal lobe, which is the seat of our logical thought processes, as the centre of all our decision-making – the "overlord" of the human body. And it is, to some extent. But we don't just "think" with our frontal lobes. We "think" with our whole brains. 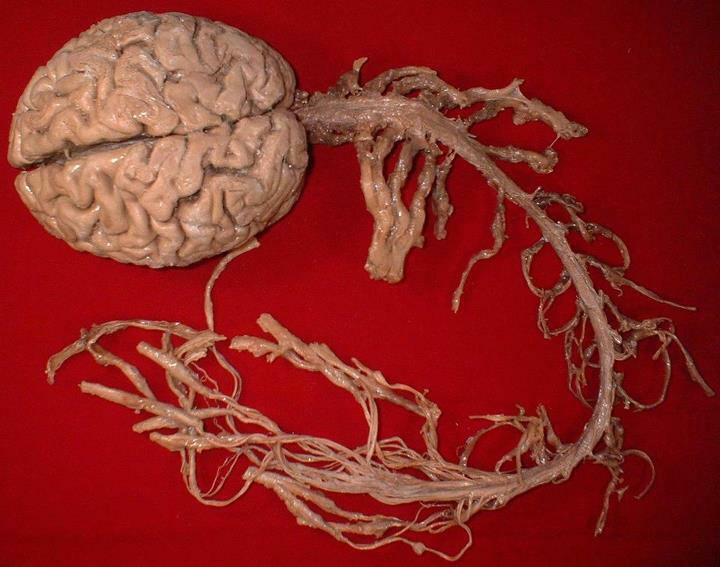 Moreover, it is probably correct to say that we "think" with our whole nervous system. 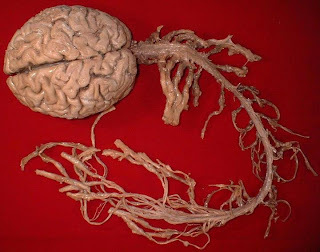 The brain is not one organ distantly connected to limbs, organs and other body parts. Rather it is totally and utterly integrated with the body via the neural system. In this sense, one can think of intelligence as something that doesn't just emanate from your skull, but rather from an organ that stretches out from your skull into the rest of your body, sending it's extensions – neural fibres – into every nook and cranny of your body. And in a way, your "autopilot" uses this broader network to do it's "thinking" – not just your frontal lobe or neocortex. So if we go back to that a fly avoiding an obstacle in a split second, we realise that it doesn't require a massive CPU. Rather than computing every single possible permutation, it uses an algorithm based on simpler, "fuzzy" logic. Its body is making "calculations" that are greatly abbreviated – ones that are based around only the essential data, and that follow simple algorithms tried and tested by evolution. This is how the nervous system of such a simple organism can make the necessary calculations, and make the necessary body movements, in a split second. We aren't all that different. Most of our "autopilot" function is much the same as some of our simpler animal ancestors. We climb a flight of stairs subconsciously, barely giving it a thought unless/until we notice something odd, like a very slippery surface, a broken tile or missing step. Which brings me back to the issue at hand: how can we develop this "fuzzy logic" so that it becomes "more intelligent" – so that it can make "smarter" algorithms for "split-second decisions"? The answer is no different to that which applied when you first learned to walk. Or when you first picked up the guitar and haltingly tried to press your clumsy fingers onto the strings in between the frets in the right order and without deadening the rest of the strings. Initially you must learn by using your "conscious" or logical mind. You will have to go through the task laboriously, waiting impatiently for the moment where you can "let loose" the "inner autopilot". There is no "short cut". 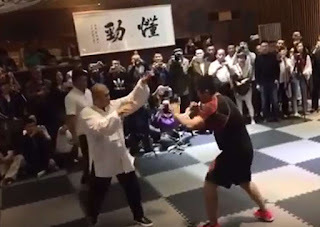 And yet, it seems to me that many people who gravitate to the martial arts want a "short cut"; they want to start bouncing around like Muhammad Ali or Bruce Lee, throwing fancy kicks and punches from day one. They want to climb into a ring/cage and start sparring. But that is a bit like wanting to pick up a guitar and start playing a Van Halen solo. It just ain't gonna happen. They have neither the motor skill nor kinaesthetic awareness. Now with fighting, brute force plays a big role. So many people can mask lack of motor skill and kinaesthetic awareness with brute force. But when facing an opponent who is equal in size, strength and aggression, that poor skill/awareness is instantly evident. Just like the budding musician, tennis player or surfer, the first time walker or person recovering from a brain injury, etc. you must go through certain formal exercises before you have sufficient motor skill and kinaesthetic awareness to perform your activity fluidly and subconsciously. What these exercises do is "teach" that part of your nervous system that operates on "autopilot". This is the "motor learning" of which I previously spoke. How do these exercises accomplish this? They start you off on certain "core" movements – basic, central movements that form the foundation of far more complex movements and combinations of movements (I'll expand on these "core" movements in a future article). These "core" movements are the key to effective motor learning. They operate by working your body along the lines and planes of relevant movement, exploring those lines and planes and giving vital proprioceptive feedback. It is this feedback that develops kinaesthetic awareness – that "fuzzy logic". That feedback simultaneously educates your motor neurons to fire appropriately and accurately. Just as you learn natural, fluid walking through those first few awkward, hesitant, and "forced" steps as a baby, so you can learn natural, fluid and effective martial techniques through what are initially awkward, hesitant and "forced" movements. But this raises the question: what sort of movements do you need for motor learning appropriate to martial arts? Why can't you just hit bags and do 2 person drills? Why ever would you need to do solo work, like a kata? Well you need to stand before you can walk, and walk before you can run. With martial arts, you need to be able to move efficiently on your own before you can start worrying about interplay with a partner. Yes, you can start working with a partner fairly early on as well. But if you plan to develop a high level of skill (especially the "standup" kind) you can't neglect fundamental solo movement. You need to be able to move fluidly on your own and "understand" thoroughly your own place in time and space before you start worrying about someone else. And this is done via motor learning – through countless repetitions that isolate and groove certain fundamental patterns of movement. I keep going back to music. When you start piano playing everyone wants to be able to play a proper tune from day one. Instead, you will do nothing of the sort. Initially you learn to move up and down scales. 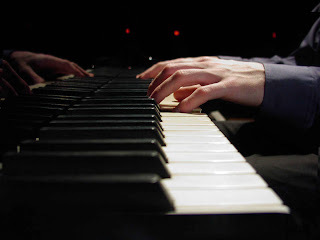 You do finger exercises like the Hanon ones, where you lift alternate fingers. You do these things because they are necessary (but not sufficient) for playing pieces (which comes later). They are precursor steps through which every pianist must pass to acquire the right muscular control – the right kinaesthetic skill. Only then will you move to very simple children's pieces. Then to "Fur Elise", and so on. A basic "hanon" exercise for learning to play the piano. It teaches relevant kinaesthetics by getting you to move your fingers through essential movements. Note what the player says at about 1:40: "I've been playing this exercise since I was 4 ½ years old and I continue to do it. No one talks about this. This is the reality – I'm giving you truth." With traditional martial arts strategy involving such things as a modified flinch reflex with evasion, deflection and counter, you also need certain underlying skills. You need certain strength and endurance in core muscle groups – ie. you need martial-specific conditioning. So, for example, I think it is no accident that all traditional martial arts, from East to West, armed and unarmed, all use the same stances: horse stance, cat stance, forward stance. Take your pick – they all have them. Why? Because there are only so many ways in which the body can move efficiently in combat. 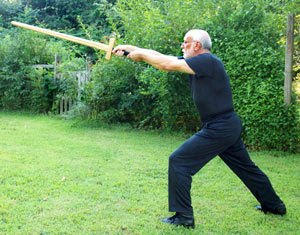 Convergent evolution means that if you watch two broadsword practitioners in "freeplay" you'll see any number of forward stances (during lunges), cat stances (during withdrawals/evasions) – just as you would in Eastern fencing. Scott Rodell's video on 5 elements of Chinese swordsmanship is equally applicable to all traditional martial arts in terms of its general message. You'll note that basics lead to two person drills which lead to solo forms which lead to freeplay which leads to target practice, etc. Note that you can't just skip to freeplay and target practice. Having correct kinaesthetics for the relevant system requires some grounding in basics, two person drills and solo forms. In the case of arts like karate, the forms (kata) play a vital role in "packaging" the basics and two person drills (in the form of applications) as a mnemonic, so they are especially important to motor learning. 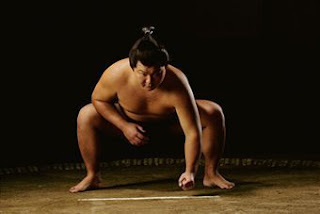 You'll see horse stances in grappling disciplines from Indian wrestling to sumo. Why? Because it is the most biomechanically efficient way to brace and balance yourself against certain forces. As I've previously noted, these stances don't occur statically; they are "snapshots" of a continuum. They occur in a dynamic context of contraction expansion, stepping, lunging, ducking, withdrawing. 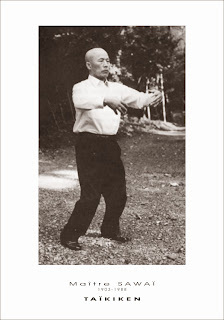 The stances are formal manifestations of extreme points in movement – expansion, retraction, etc. Between all of them you can cover every conceivable human martial position and movement during combat. Yes, the stances will seem a bit "formal". But round the edges off and guess what? You get natural movement. "Square up" your sparring movements and you get traditional stances (as well as other formal traditional techniques). Why bother with "squaring up" stances? Because in this form they manifest as "ideal" points of balance and structure. You'll never manage an ideal in reality. But you don't want your "autopilot" to learn something less than ideal. Because you need to be assured that you have explored and mapped the full extent of your kinaesthetic awareness. If you haven't, some of the proprioceptive feedback will be false or missing. Ditto with your motor skills; they will be incompletely formed. Full, deep, basic stances explore the full range of movement in the most balanced way – so your body knows where it is strongest and where it is weakest. Anything less and you're trying a shortcut again. And your autopilot doesn't learn as much when you take such a shortcut. He/she/it wants as much "driving experience" as possible. Okay – so you need stances. Why put them in kata? Why not practise them separately? Well you could... but that would be missing the point. The stances are, in themselves, not relevant to training your motor skills and kinaesthetic awareness. Remember, this is about awareness and control of your own body in motion – not your body at rest. So the stances are less important than the transition between them. In other words, it is the movement that matters. The stances just enable that full range of movement by providing extreme points between which the movement is made. And we're not just talking about moving in one stance. In order to provide the right (complete) proprioceptive feedback, you need a dynamic context in which to experience shifting between all the stances. 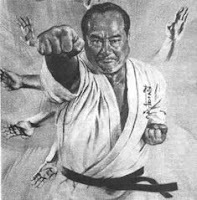 Accordingly, a good syllabus will feature kata that offer a comprehensive catalogue of different permutations of movement. Of course motor skill/kinaesthesia is not just about stances; they merely serve to provide one technical example. Your arm and other techniques must also coordinate with stepping in those stances – counterbalancing each other and agreeing with your footwork. 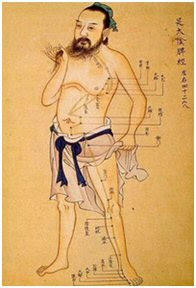 Just as your brain cannot be divorced from your body, your arm and leg techniques cannot be divorced. In fact, a good kata gives your "autopilot" proprioceptive feedback about the positioning of your whole body – arms, legs, torso, head, you name it – during martial movement. In a nutshell, kata give you opportunities for motor learning fundamental skills in martial movement, much like the Hanon exercises do in the case of piano playing. In so doing they teach your "peripheral" neural system about your location in time and space use this information to let you establish a fluid, accurate control. Yes, they feature "techniques". But the techniques are not what kata is about. You're never going to remember a set response to a particular attack. Ever. So what can you learn? Well your "subconscious" can "learn" to make "intelligent" choices in a split-second; choices you could never make consciously. And what will those choices be? They will follow broad principles of "ideal" movement – rounded off under pressure and because nothing your subconscious reproduces ever has perfect fidelity. 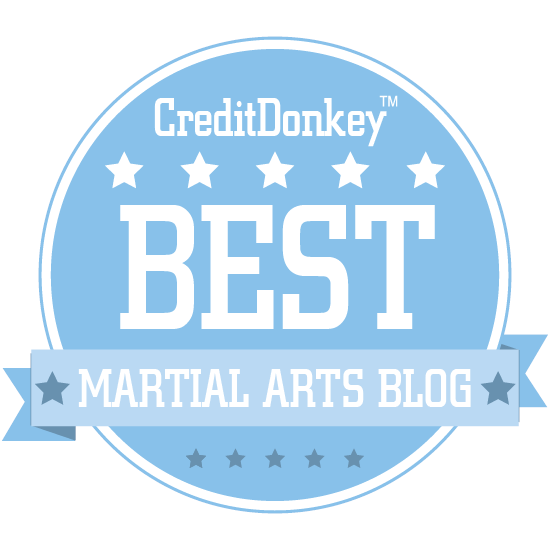 In other words, you'll withdraw, lunge, side-step, slip, deflect, punch, kick – you'll do all these things; things you learned from your kata. Yes these things will have the "edges rounded off". And they won't occur in the standard sequences of your kata. But they will follow the same principles. So it is true: kata won't teach you technique. It will have you execute technique in the form, but it won't "teach you to use it". You were never meant to re-enact a kata during self-defence. What the kata will teach you is certain principles – principles that shape your kinaesthetic awareness so as to enable a subconscious, reflex response under pressure – one that is effective and, dare I say it "intelligent". In conclusion, many people on the net talk about proprioception and kinaesthetics. Some bandy these terms around, perhaps smothering them in jargon and pseudo-scientific babble. But rarely do people actually explore what these terms actually mean – and how these issues affect martial arts training and tactics. 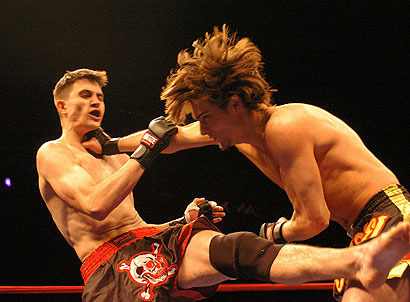 Yet the role of kinaesthetics and proprioception is vital to motor learning in martial arts. In turn, motor learning underpins every element of traditional (and modern or eclectic) training. This explains exactly why we need forms – be they kata or some other drill that achieves the same function. Kata (forms or patterns) provide a patchwork of fixed reference points that your body can use to map its position and surroundings, and make useful predictions about movement in that context. Simultaneously they teach you the core motor skills necessary to move in those surroundings in a way that is safe, efficient and effective. Proprioception, gained through repeatedly moving through these reference points, is the process by which these points become known and "fixed" in your nervous system. Kinaesthesia is the process by which your subconscious triangulates and extrapolates from these points, fleshing out your mental map to a more detailed picture. Motor learning is the process by which you learn to use the data from that mental map in synch with your motor skills so as to produce accurate, fluid movement. "Situationally" appropriate reflexes are such learned movements, generated automatically by subconscious in response to certain stimuli. Again, kata is one of the tools that helps create these associations. I'm no scientist and it has been 30 odd years since I studied perception at university (including kinaesthetic awareness and proprioception). But what I do know, I've tried to present usefully, in lay terms; a "potted account", if you will. I know that there will inevitably be some disagreement with the "licence" I've taken here and there with my terminology or the analogies I've made. 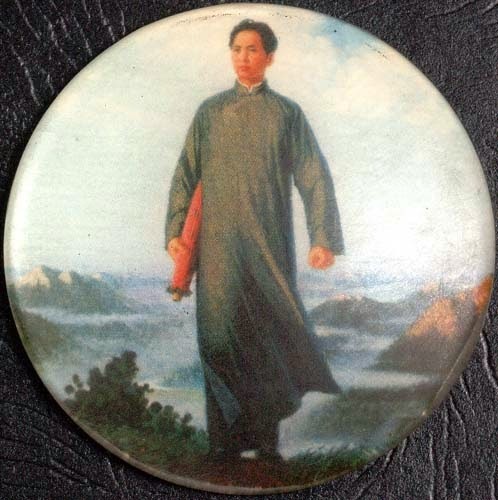 But I believe that taking such "liberties" is ultimately of greater benefit than a lot of what is presently "out there" in the martial arts world (eg. articles filled with "big words", trademarked jargon and unnecessary acronyms, but which frankly fail to advance one's thinking one iota). I hope this article achieves the more informative discussion I was seeking. 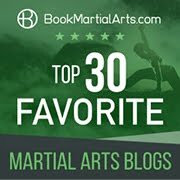 I also hope that this article will serve as a useful introduction to a forthcoming essay in which I hope to explore, in specific detail, how kata (in particular, basic kata) drill essential or "core" movements; movements that are "embryonic" in the sense that they provide proprioceptive feedback for a comprehensive variety of situations. I will also detail how this feedback can, to some extent, "future-proof" the student so that the essential/core movements provide a kind of scaffold, enabling him/her to continue to draw more and more lessons from it the more experienced and advanced the student becomes. But that is for another time! Arrrg, cliffhanger. Really looking forward to the follow up. I eventually came to the conclusion that mastery is taking an idea and manifesting it in reality without middle men or having to think about the tools. On the other hand, there has to be some method to transfer idea into reality. And those methods are usually difficult and complex. The one who has mastered himself, is then free to begin mastering a human's external reality. For only those who have mastered themselves, are given access to consciously selecting and activating processes which most people can only accomplish through manual targeting, in an automatic and energy efficient fashion. Put another way, the proficient user is lucky to be able to land his strikes and prevent incoming attacks from inflicting fatal or crippling injuries. He has to devote much of his efforts to manually correcting bad habits, in the hopes that he will get the right habits. Those that go beyond this level, do things effortlessly because they are able to manually select the most optimal tools, yet at the same time did not have to manually oversee the activation of said tools. This allows the brain to focus on more long term prediction and goals, delegating the movements to movements that are just as efficient as automatic ones, except they self correct. Instead of attempting to use the brain's full power to focus on physical techniques, the techniques are only used by the spine, second brain, and motor controlling centers of the brain. Yet unlike most automatic processes, this is not an autopilot, but something that is heuristics based. It self-corrects based upon immediate feedback, without having to wait for authorization from the higher conscious mind. To reduce it down further into a simpler container, the master gives an order and a bunch of quick, efficient, and independent workers get the job done, while the master of the field surveys the next job to be done and will step in and fix something if it needs fixing. But otherwise, there is no energy wasted on something that is well oiled and efficient. Whereas the proficient user may need to micromanage every step of the process, because he can't get it done otherwise, and will often miss things he would have seen had he been allowed the time to achieve a broader outlook. If he lacks those independent, efficient, workers, the proficient user may have to micromanage his battle art programs. Whereas the master has everything he needs to look like he runs on auto, but really isn't. The brain also has certain bandwidth limitations on hearing, eyesight, etc. By utilizing kinesthetics, our senses are using side channel bandwidth, basically parallel processing, which improves our cpu processing capabilities thousand folds over. Without a competent user at the helm, all they get is stimulus overload. Overall, train the brain first. The body's only a method to get to the brain. Often people forget this and ignore the brain because they think fighting is automatic. Overall, I don't think one needs kata to learn techniques. Because simply repeating one movement and technique 10,000 times will allow almost anyone to "master it", assuming they reproduced whatever it was accurately. 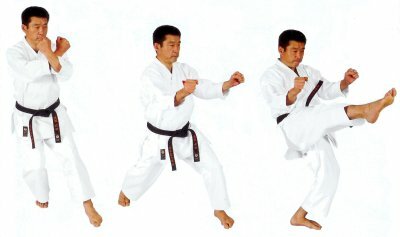 Yet many martial arts focus extensively on kata because they keep repeating the mantra of "you have to learn techniques first". It was more like, you learned techniques first and then you practiced kata to hone and retain/transfer them. Not the other way around. When a student literally cannot visualize what they are doing, because they have no idea what the technique even is, they are simply copying the body movements of their seniors (the diff between a genius student and a mediocre one is that the genius student can copy 90% better). That, however, is not the way to proficiency, let alone mastery. They cannot graduate to harder topics like timing and instantaneous movement/judgment without the foundation. And yet the foundation is often made out of quick sand that people say will make technically proficient fighters out of people. But one never needed kata to train fighters, evidenced by the Ancients who didn't have kata back then, yet were far more proficient in simple battlefield applications than we are today. I have been planning to write my essay on the "Kinesthaetic Value of Patterns" for sometime now, but have been too busy with other things to get so far. Although quite long, I enjoyed reading it. Thanks for the effort you put into your essays. Yes, my essays are rather long - but I like to think it is because I'm tackling some of the "big" questions. Or maybe I'm just verbose! By all means, please link to my article. I'd be honoured.